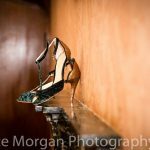 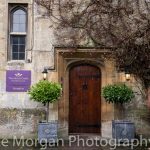 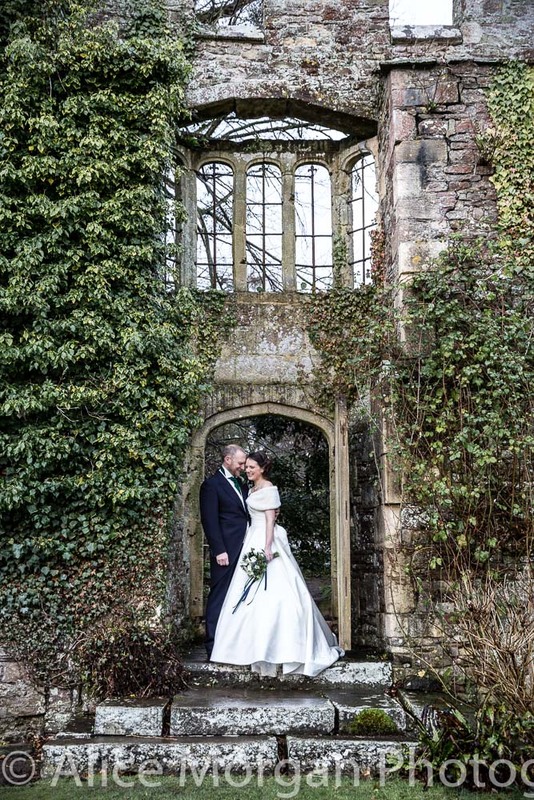 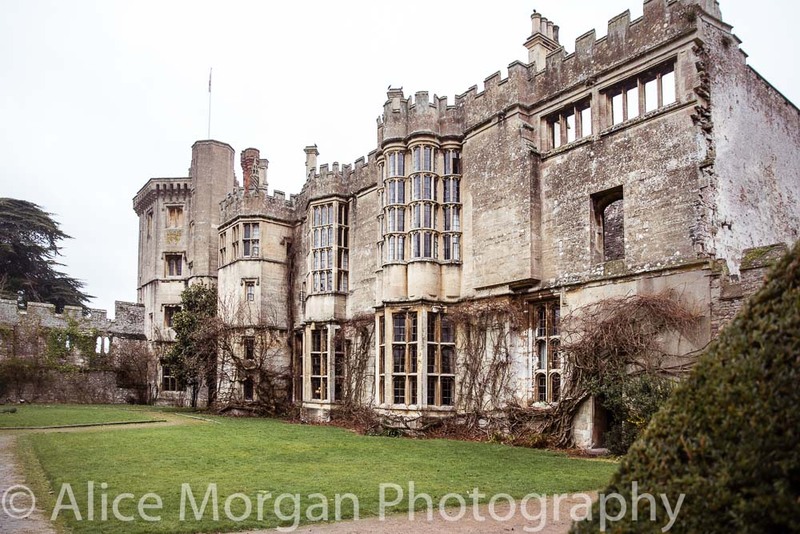 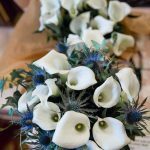 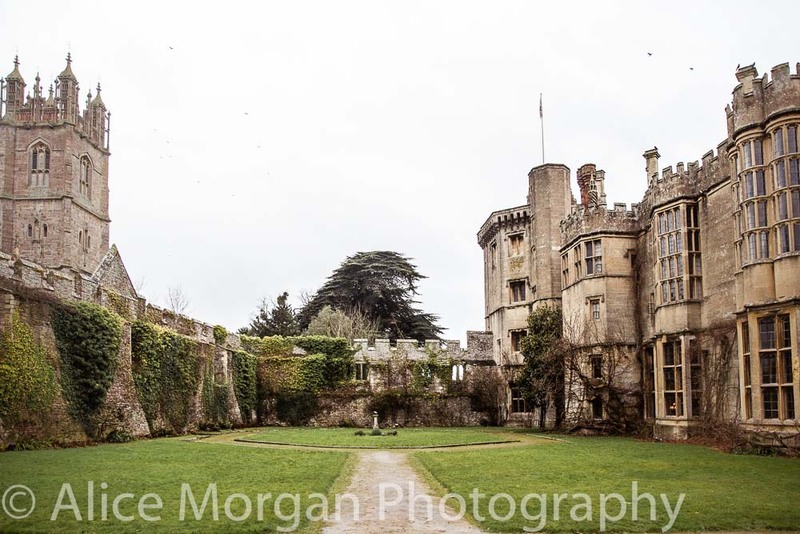 A small wedding for a big day in February 2018 saw this intimate (and impromptu) castle wedding of Sally and Gavin at Thornbury Castle in Gloucestershire. 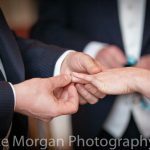 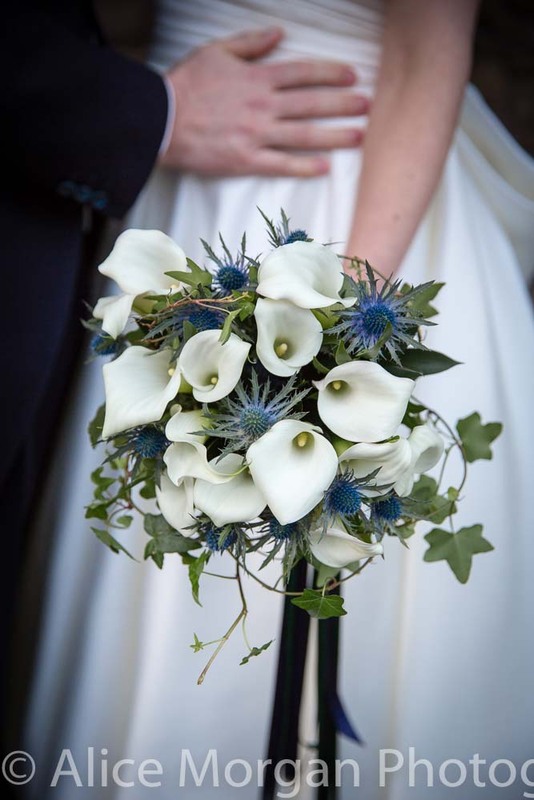 On average, wedding guest numbers are decreasing and micro weddings are on the rise; with couples wishing to keep things small, personal and more meaningful. 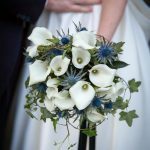 Not quite on the extremes of eloping, as the nuptials are far from secret, but a step away from traditions and expectations. 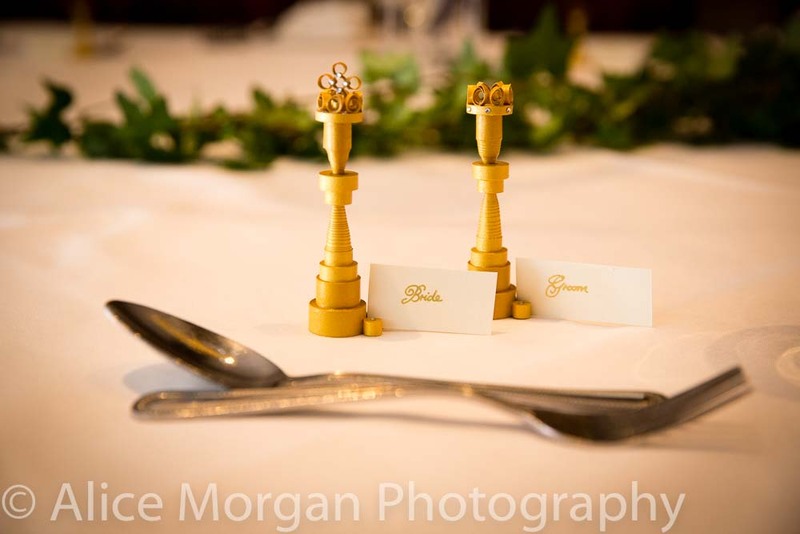 Making the day a real lavish experience for everyone and good value for money. 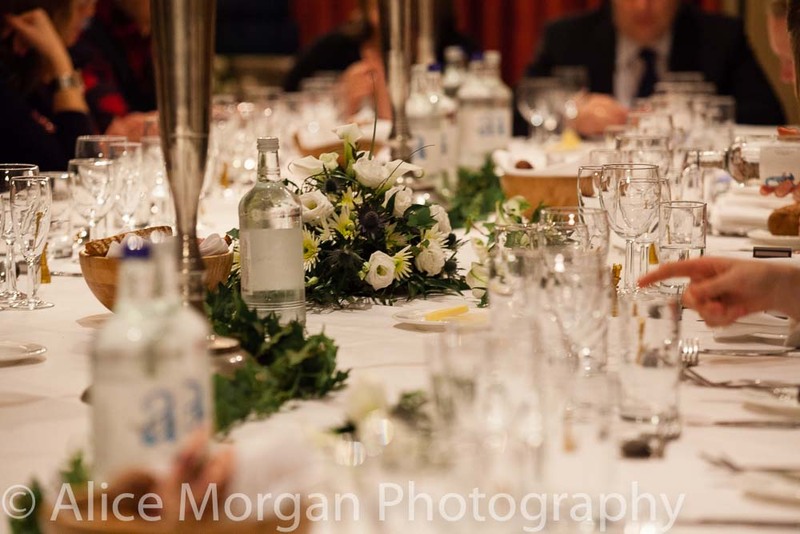 It’s like having a dinner party in a private room for your close friends and family. 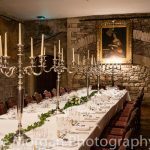 This intimate castle wedding (of less than 30 guests) was a luxurious affair with a rich, dark colour scheme of navy blue and emerald green. 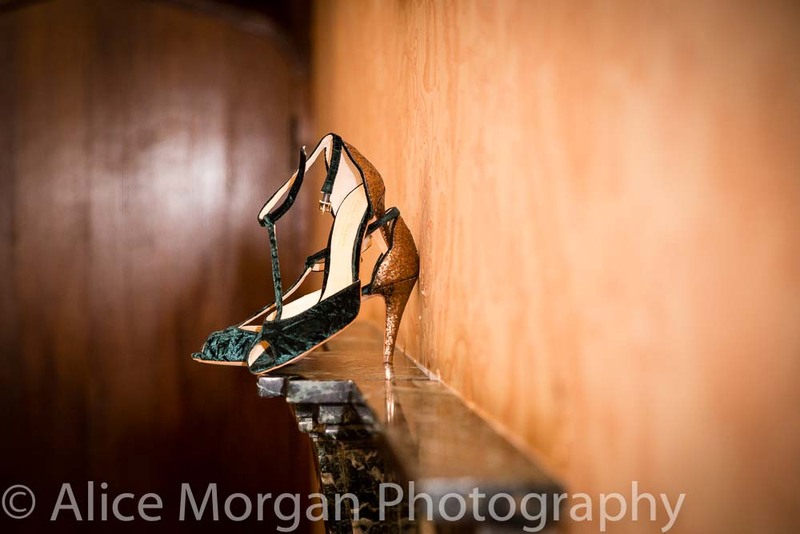 With lush tactile elements of velvet bridesmaid dresses, satin ribbons and faux fur wraps. 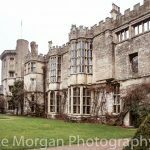 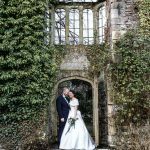 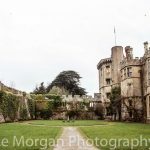 The couple chose Thornbury Castle for their wedding as the bride loves history and castles, whilst the groom loves fine food and wine. 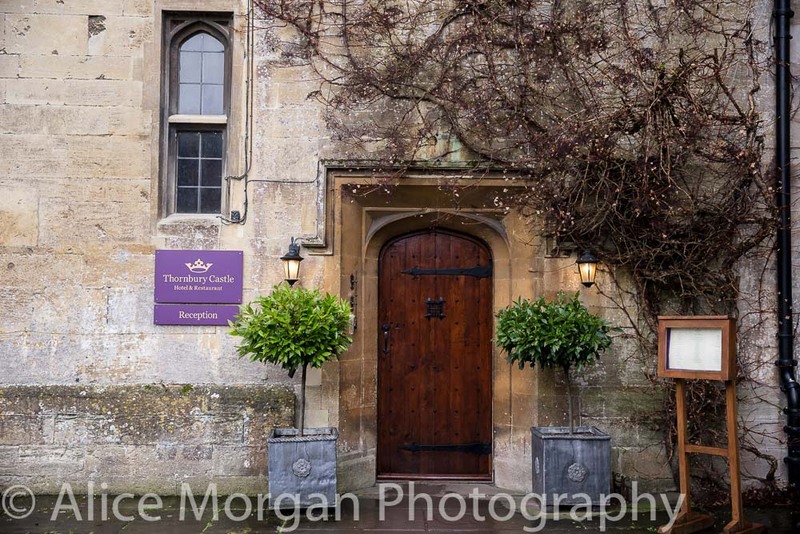 It was also a special venue where they had stayed together before. 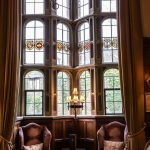 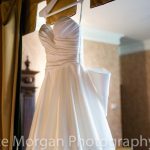 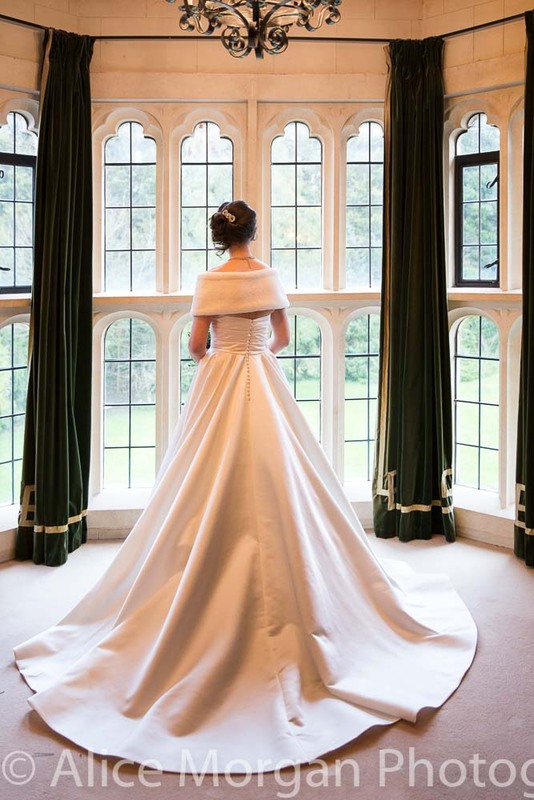 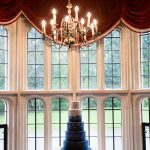 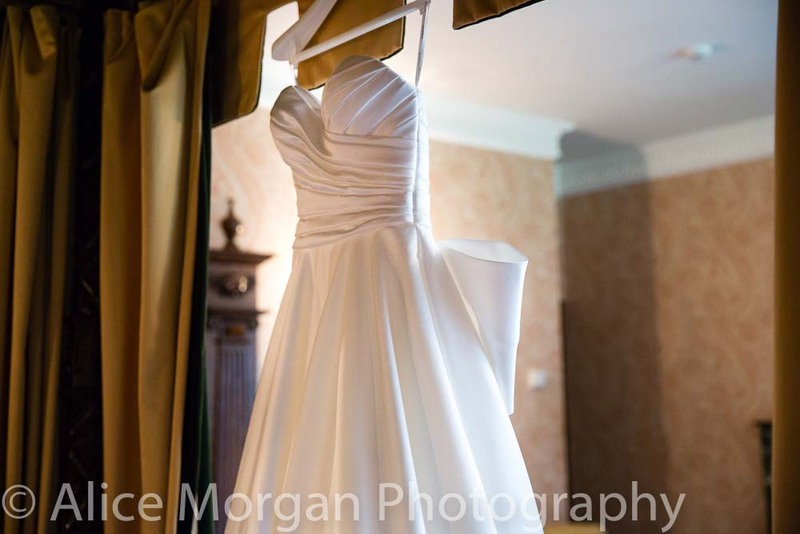 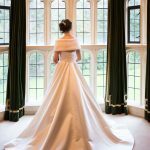 The bride and bridesmaids got ready in the Henry VIII suite with it’s spectacular full length windows. 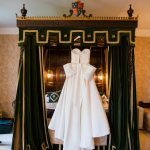 She wore a stunning dress from Pronovias with a huge statement bow and accessorised with a custom-made ivory faux-fur wrap to bare the wintry elements of the day. 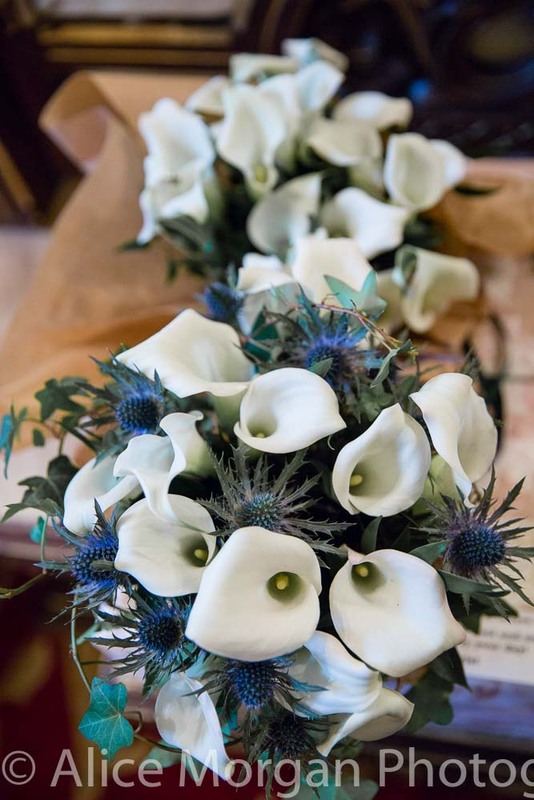 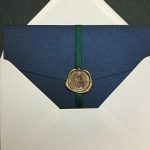 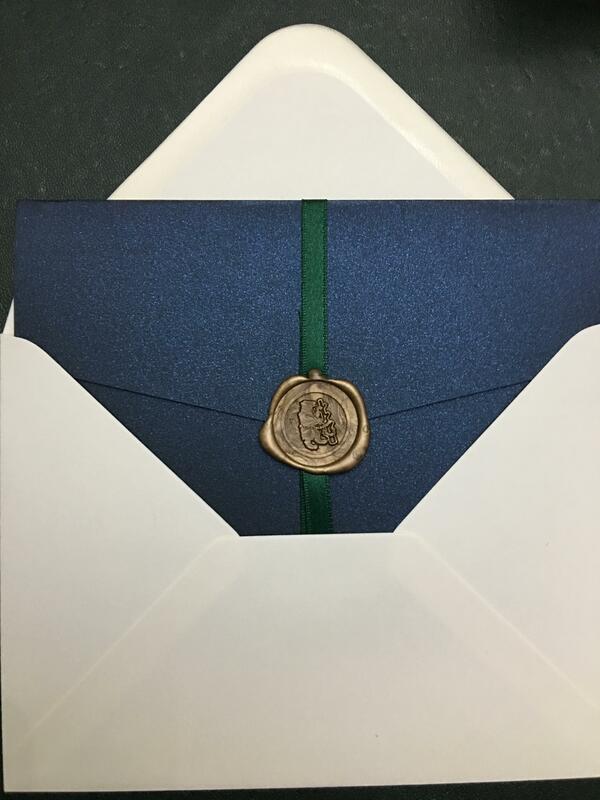 To set the scene, the couple sent out navy invitations with a green satin ribbon (to match the bride’s bouquet) and a crest from the county of the bride’s place of birth. 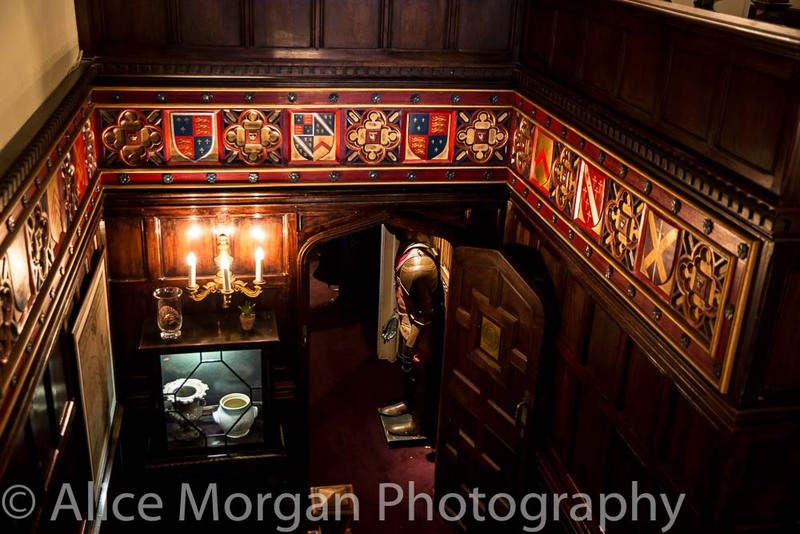 The heraldry was a lovely nod to the décor that guests would see inside the venue. 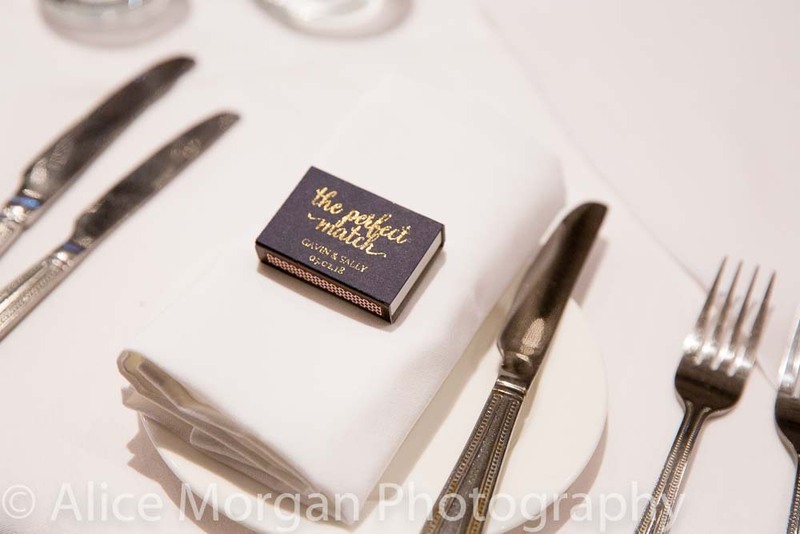 The traditional invites had handwritten names, a personal note and a copy of the menu. 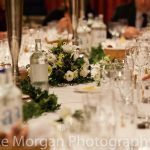 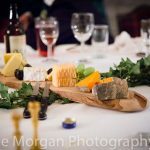 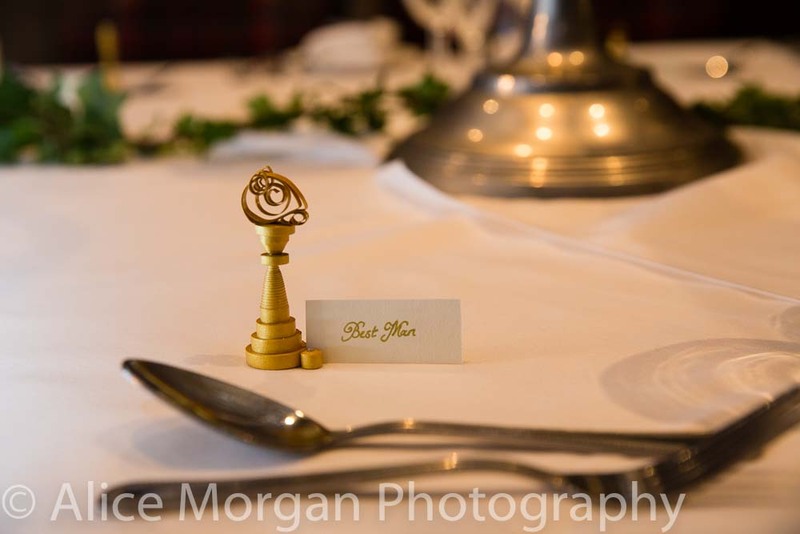 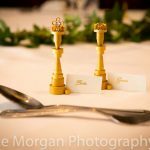 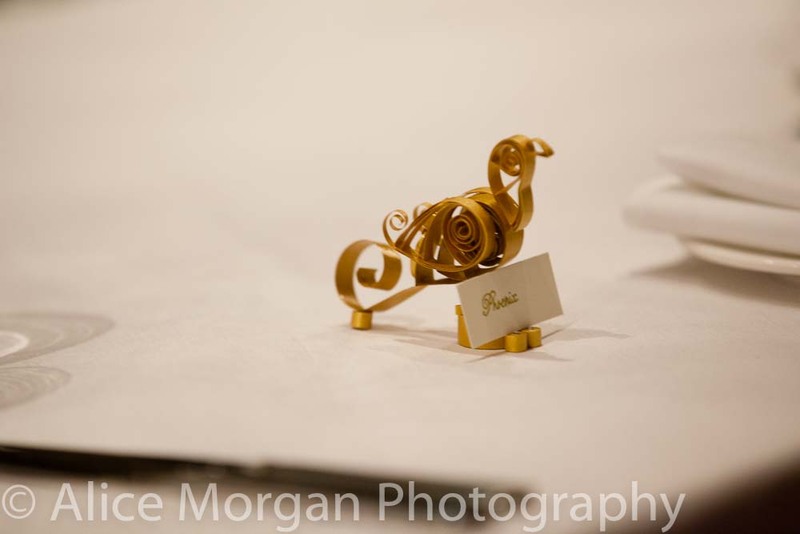 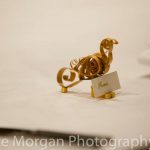 Place settings were individually quilled, glued and sprayed to look like chess pieces, with names written on cards by the bride. 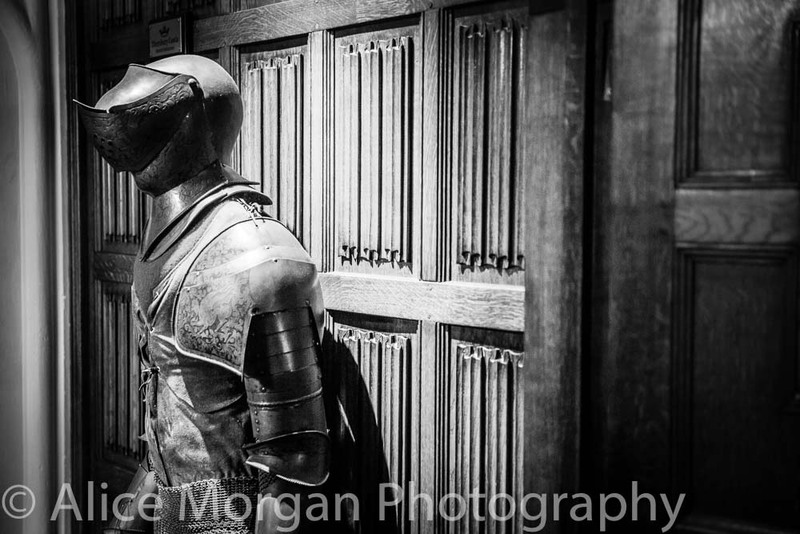 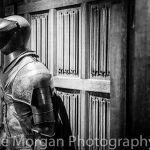 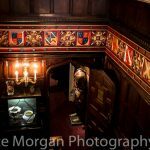 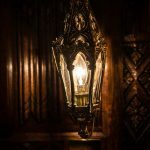 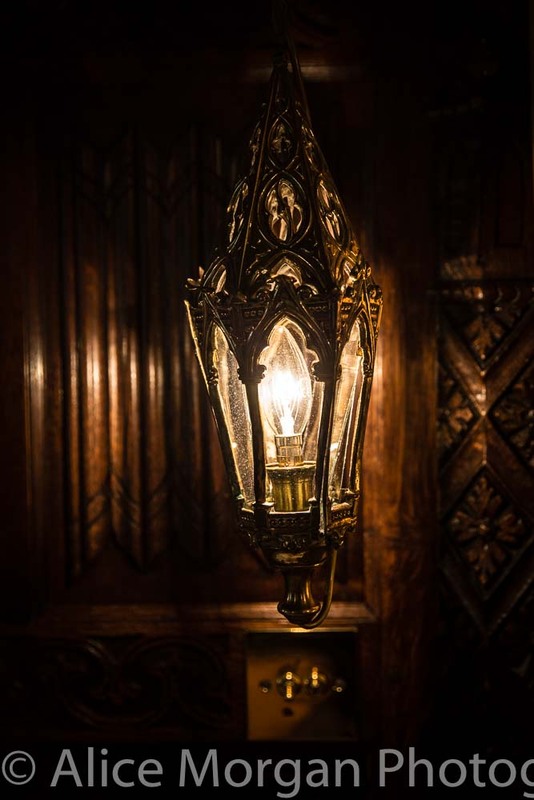 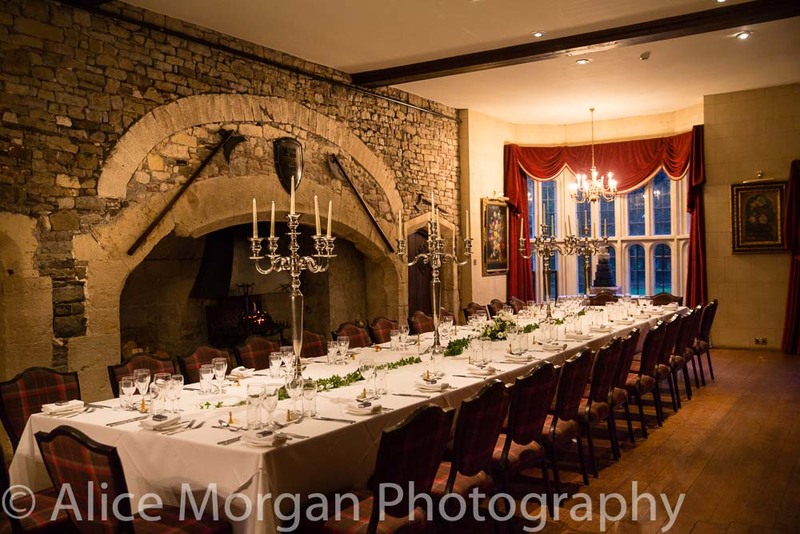 Minimal décor was required in the Tudor Hall and they choose not to add anything to the Lounge or Boyling House as they let the impressive venue do all the talking. 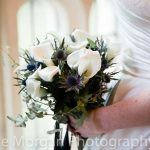 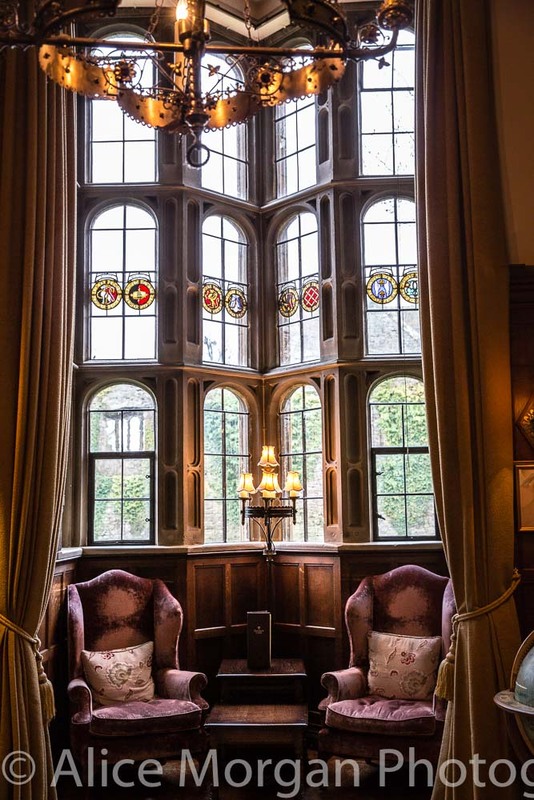 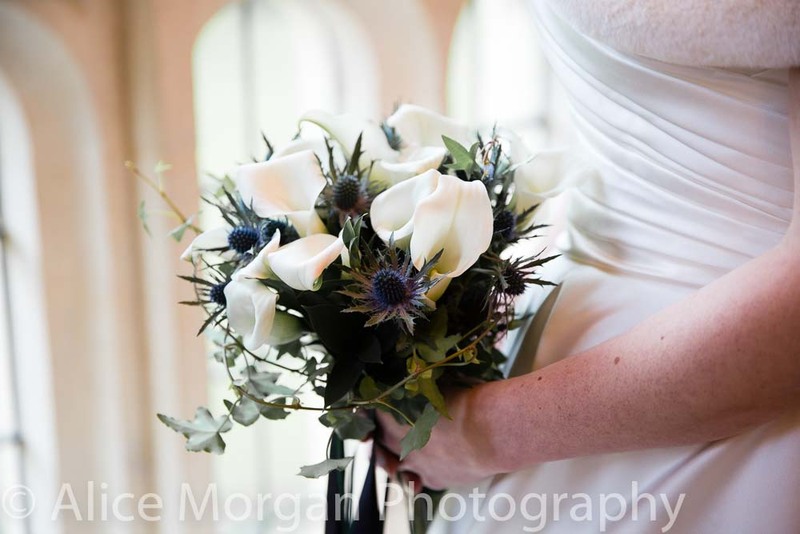 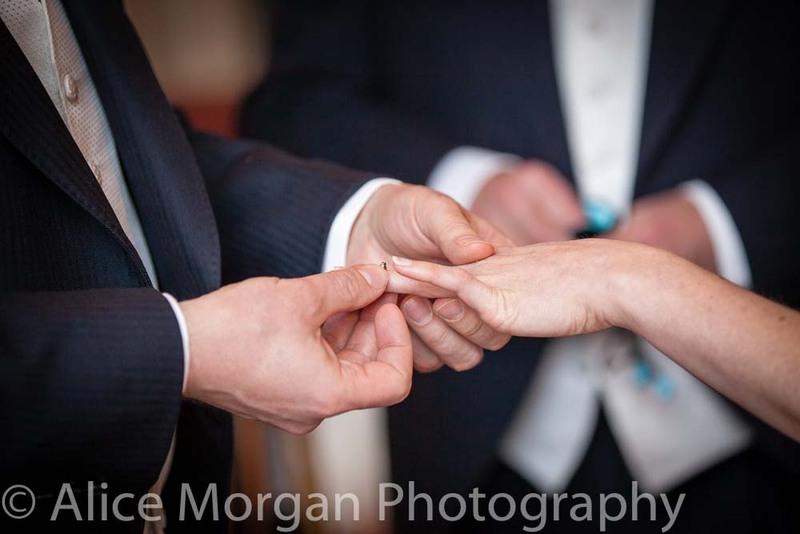 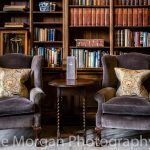 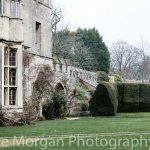 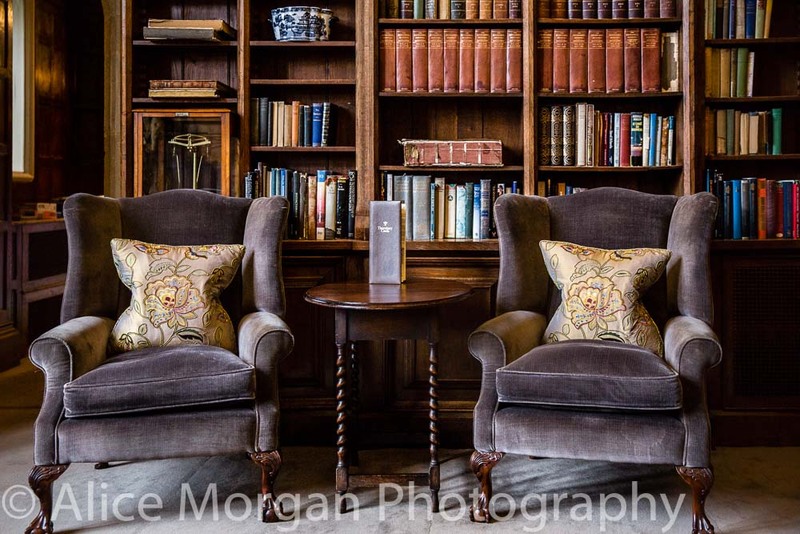 The wedding ceremony took place in the lounge at Thornbury Castle where guests sat on comfortable settees and arm chairs. 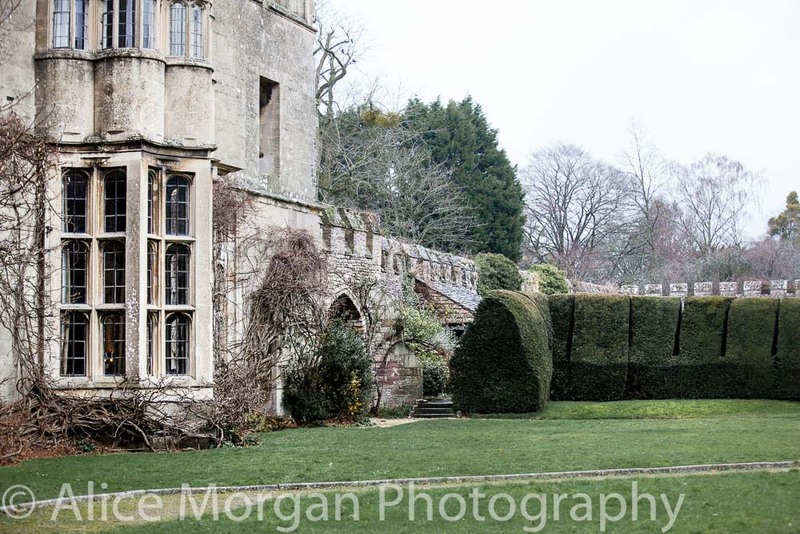 Photographs then followed around the castle and in the gorgeous grounds. 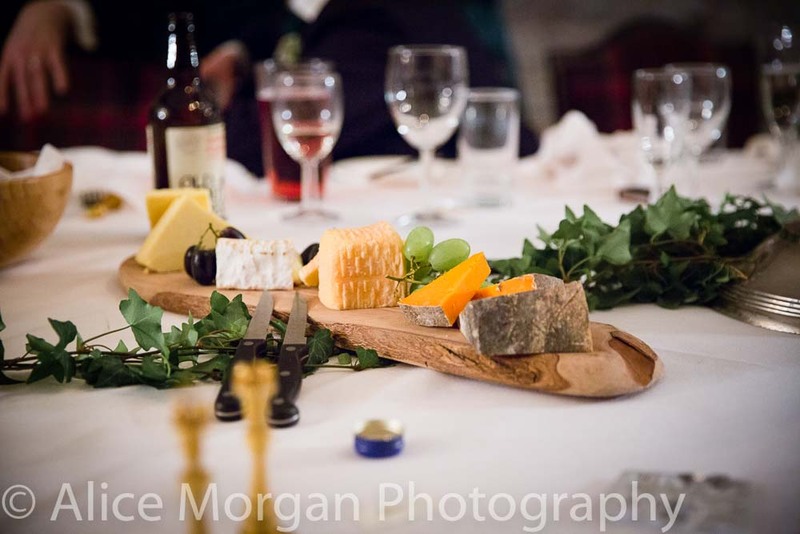 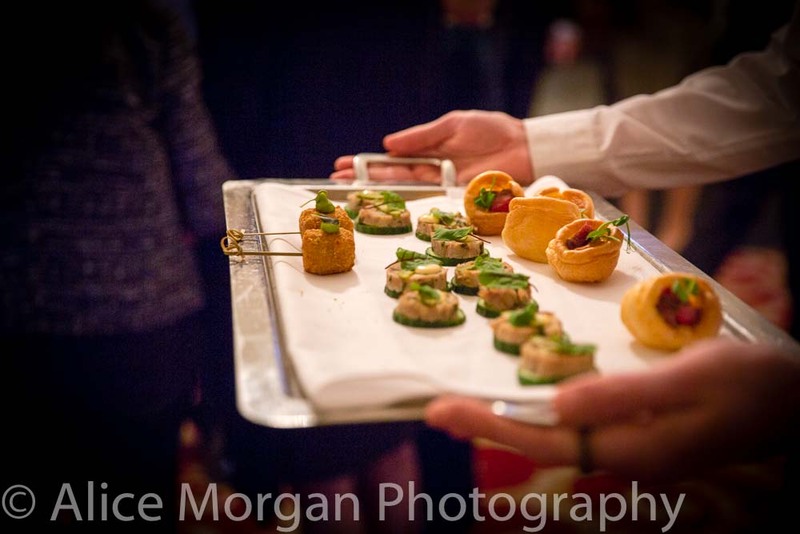 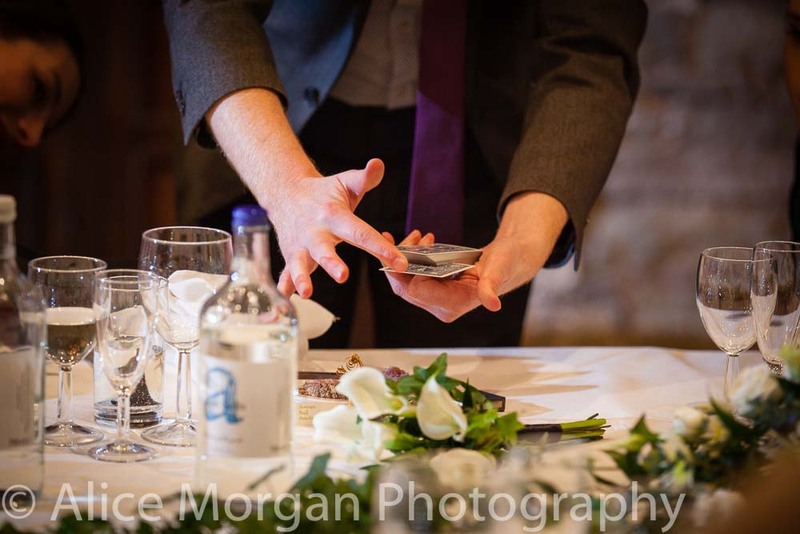 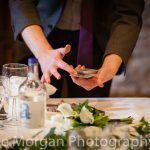 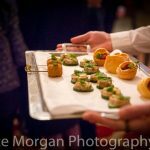 Their drinks reception took place in the Boyling House where they enjoyed canapés, fizz and a caricaturist and close-up magician for entertainment. 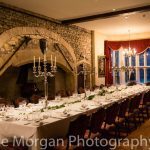 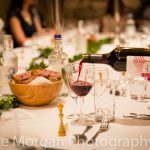 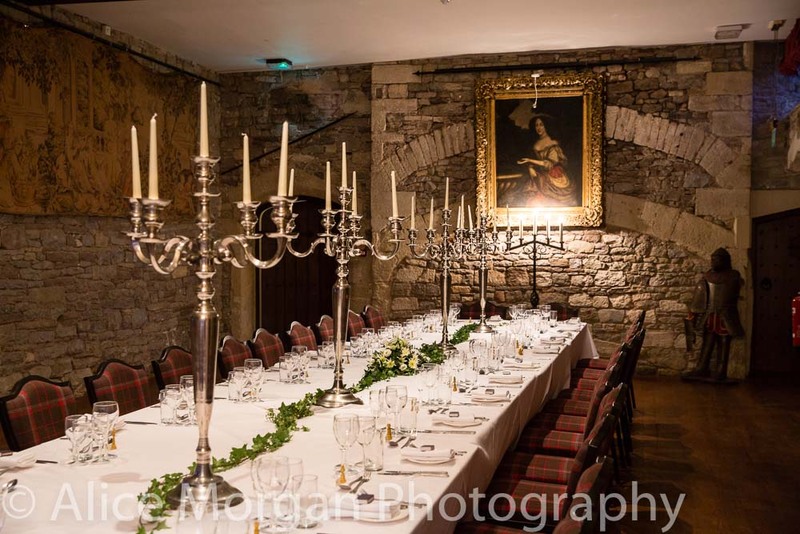 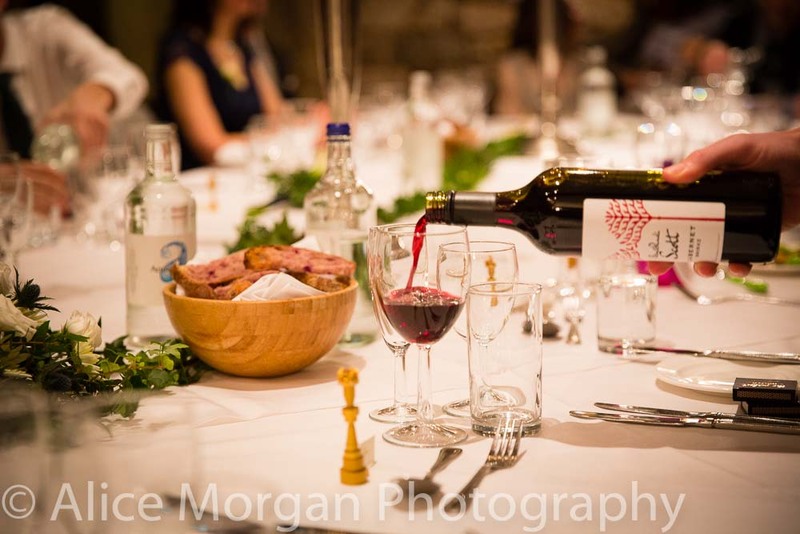 The wedding breakfast took place in the Tudor Hall where all 27 guests sat around one table with an open fire and enjoyed a 5 course dinner service with a break in the middle for a magical parlour show. 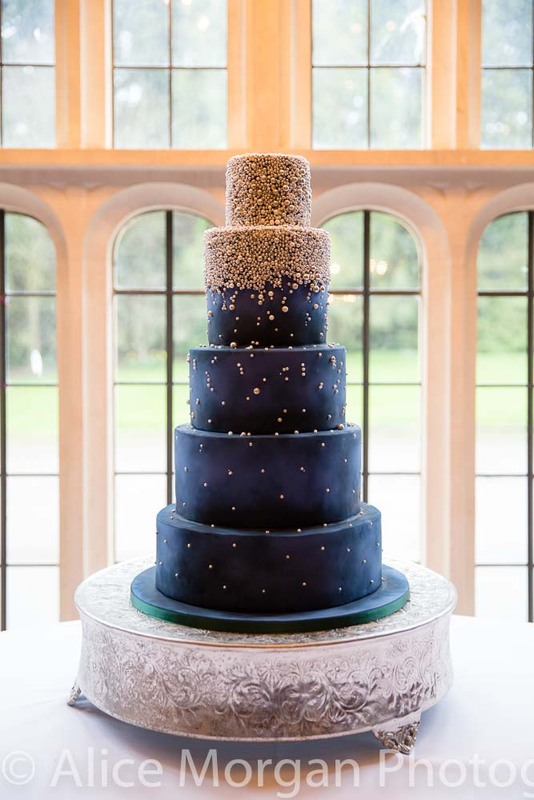 The lavish five tier cake was decorated a sumptuous navy blue colour and adorned with edible pearls. 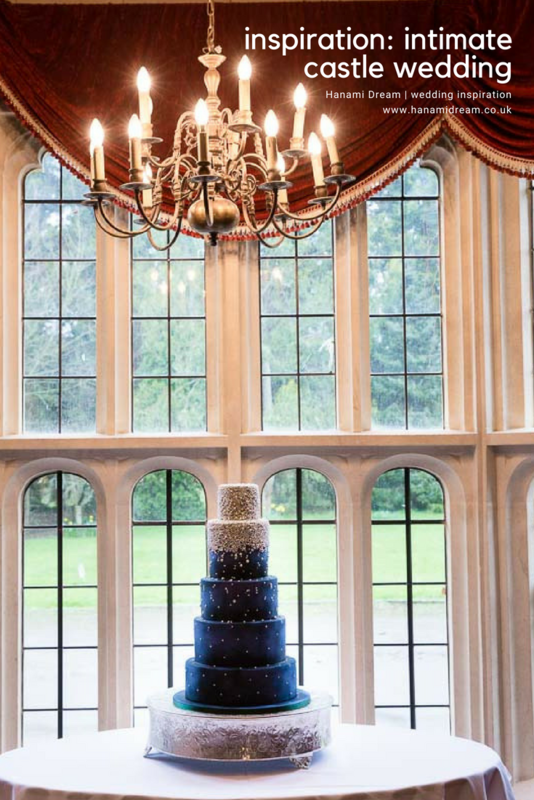 It stood decadently, mirroring its surroundings and the hidden grandeur inside. 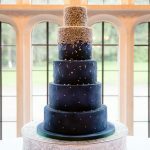 Each tier revealing different delicious flavours of chocolate with chocolate and cherry ganache, lemon with white chocolate ganache, and a traditional fruit cake. 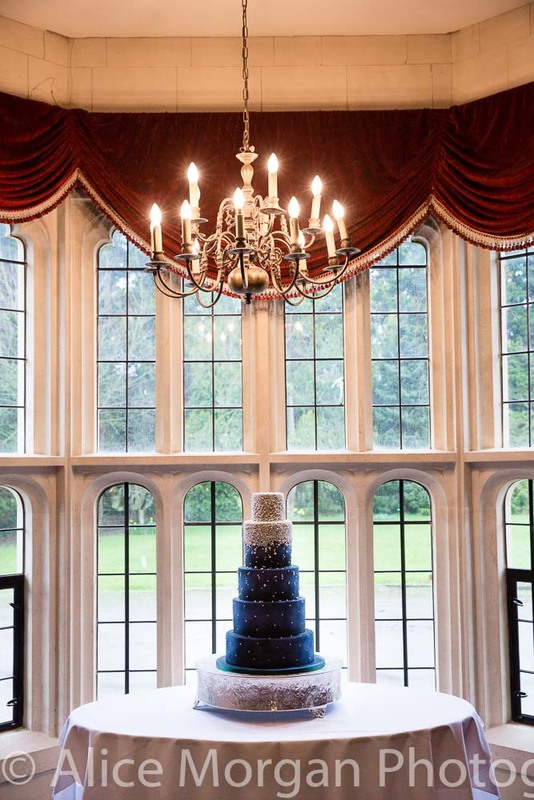 Despite there being a small number of attending guests, this was a cake to feed many more. 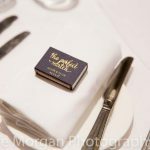 The couple had little cake boxes at the ready with coordinating ribbons and napkins for the mother of the bride to give to local friends and family who didn’t attend. 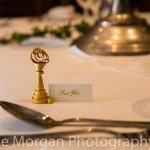 Guests stayed over at the hotel in the exquisite bedrooms and in the morning they enjoyed breakfast together in the Baron’s Sitting Room. 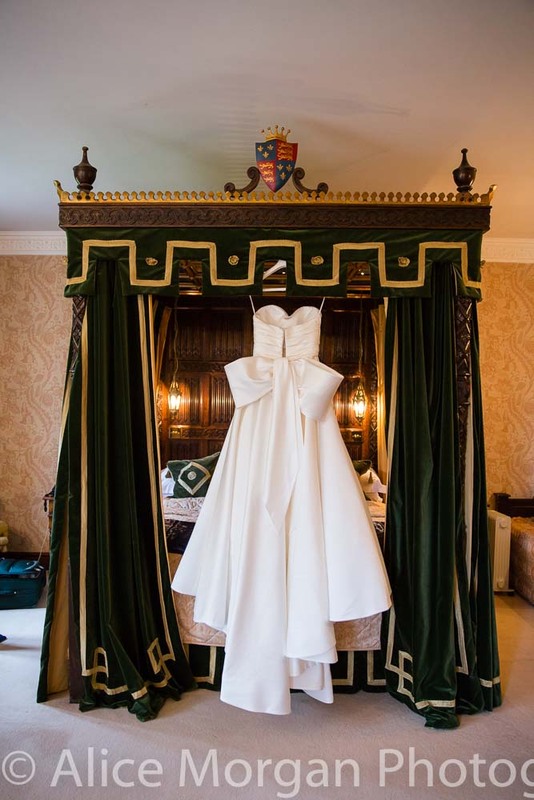 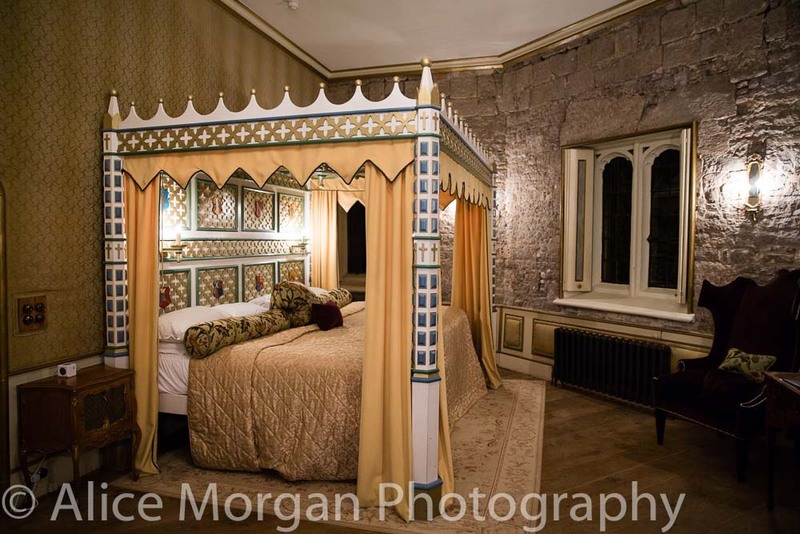 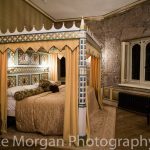 Meanwhile the Bride and Groom stayed in the Tower Suite (one room at the top of the tower with around 70 steps to reach it) in the golden four-poster bed.